Roller derby is a full contact sport that has been around since about 1922. In past decades, roller derby has primarily been a professional or paid sport for both women and men. Contemporary roller derby is exclusively amateur, predominantly female (with over 950 women’s leagues in 34 countries), and operates on an international circuit fully run “by the skaters for the skaters.” WFTDA, the Women’s Flat Track Derby Association, hosts a series of regional championships in the US and a Championship Tournament which is open to all WFTDA member leagues. You may have seen roller derby on TV; there were televised games (or "bouts") as late as 2001, although the sport was most popular in the 1970s. 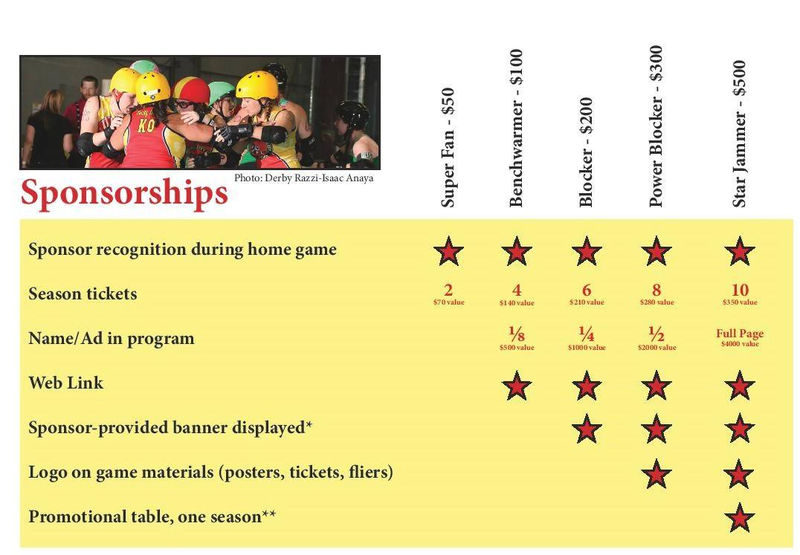 By contrast with previous forms of roller derby, WFTDA roller derby is less about the entertainment value and more about the sport. There are no staged hits, no fighting, and the winner of each game is the team who out performs their competition in a very physical, strategic, full contact sport. 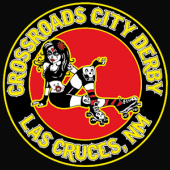 Crossroads City Derby games are family-friendly events; kids under 12 are admitted free with a paying adult. The two Jammers start each Jam behind the Pack, and score a point for every opposing Blocker they lap, each lap. Because they start behind the Pack, they must get through the Pack, then all the way around the track to be eligible to score points on opposing Blockers. Roller derby is a full contact sport; however, Skaters cannot use their heads, elbows, forearms, hands, knees, lower legs, or feet to make contact to opponents. Skaters cannot make contact to opponents’ heads, backs, knees, lower legs, or feet. Play that is unsafe or illegal may result in a Skater being assessed a penalty, which is served by sitting in the Penalty Box for 30 seconds of Jam time. The team with the most points at the end of the game wins.